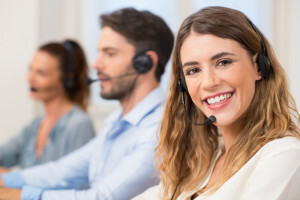 Call center employees can learn a lot from Yoda, the Jedi Master from the Star Wars movies, according to 3C Contact Services, the leading provider of outsourced call center solutions. The tiny, green alien taught generations of Jedi Knights in the ways of the Force, and those same skills can be applied to both training call center employees and dealing with customers. Think of new employees as being like Luke Skywalker when he first came to Dagobah seeking training from Yoda; while they may not be as angry and reckless as young Skywalker, you’ll still need to teach them the skills they need to best deal with customers. This will doubtlessly require a lot of patience to mould them into someone who may not necessarily save a galaxy far, far away, but will still be able to handle customer calls with patience. And call center employees should also take a page from Yoda’s Jedi training manual when dealing with customers, who may be angry and looking for a fight when they first call in. Be patient, listen to what they have to say by being sympathetic, and offer a solution that will leave them satisfied. As Yoda said, “A Jedi uses the Force for knowledge and defense, never for attack.” That means never speaking over a customer, swearing at them, or changing the terms and conditions of their contract out of spite. Despite his frail appearance, Yoda proved himself to be adept at combat in the prequel movies. If a client calls in and there’s a hostile tone to the call, it can feel like you’re equally diminutive and taking on a much larger opponent. Take a defensive approach and block the upset customer’s anger with reasonable solutions to resolve the situation. Think of good customer service skills as being similar to Yoda’s mastery of the Force. Despite his tiny size, Yoda could move everything from Luke Skywalker’s X-wing starfighter to large boulders with ease. You must be able to do the same thing and think of customer interactions the same way; they may seem insurmountable at first, but with the right amount of training, you’ll be able to handle these situations with ease. Yoda also recognized the importance of his students learning from experience. Taking a similar approach when dealing with customers will help you to learn from any mistakes you make and to build on successful strategies. Above all else, Yoda was humble—an attitude that any call center employee should take. Showing a sense of humility when dealing with customers will serve you well and show that you’re on their side. Yoda’s most famous quote is, “Do or do not, there is no try.” Give your customers a firm commitment; tell them you will help them, not that you will try to. When dealing with customers, 3C Contact Services says that if you approach them with the same calm attitude as Yoda and the Force will be with both you and the customer. 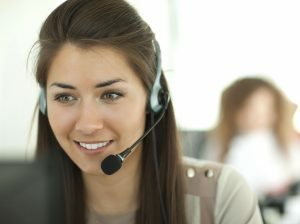 I provide express consent for 3C Contact Services to contact me via e-mail regarding product and service offerings. Vaughan, Ontario L4L 4Y8 Canada.